Following a vegetarian diet is one of the best ways to lose weight, and at the same time retain all the nutrients that are needed by the body. Vegetarian food like fruits, vegetables and whole grains are rich in fiber, which keep your stomach full and prevent over consumption of food. They are also low in calories. Having a vegetarian diet helps you to lose weight and also lowers the risk of any heart diseases. The diet you follow must contain all the nutrients in the right proportion. Another thing to remember is that you must have a breakfast that is rich in proteins and fiber. This keeps you energetic for the whole day. Keep away from junk foods like cookies, chips, instant noodles, biscuits etc. Processed foods contain very little nutrients. The extra calories that you take in must be burnt by doing proper exercise. You must exercise for 20 to 30 minutes daily and burn the extra calories. This also improves your metabolic activities. Reduce the consumption if oils, sugar, butter, ghee and margarine. Just two tablespoons of olive oil daily is enough for the body. Water is very important for your body. You must drink at least 2 liters of water every day. Water is capable of flushing pout all the harmful toxins from your body. Drink fruit juice, water, buttermilk and coconut water instead of alcohol and cold drinks. You have to consume five portions of fruits, and vegetables. Along with that you must also consume fiber rich food like whole grains, potatoes, bread, rice and whole grains. 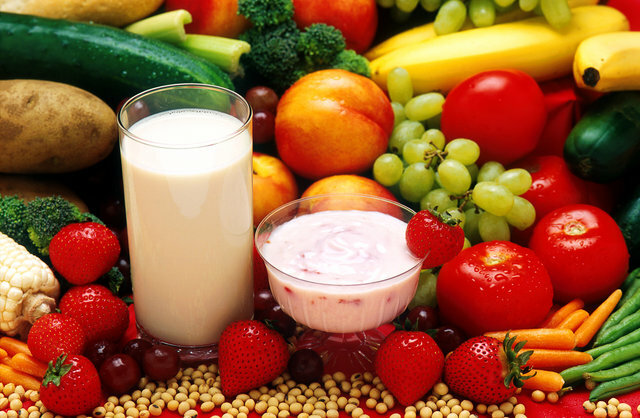 Dairy products like milk, paneer, curd and cheese are also necessary for a wholesome diet. Start every day with a glass of lemon water. You may add some honey to it if you wish. Lemon water helps the body to throw out all the harmful acids formed in the body. Have one cup of green tea as it contains anti-oxidants and is good for your health. Along with it, have poached egg, 3 sliced of brown bread toast and a banana. For lunch you can have one portion of brown rice with grilled tomatoes and tofu. For evening snack you may have egg and mayo sandwich. Take 2 slices brown bread with slices of egg, tomato slices and low fat mayo to make the sandwich. Have 2 chapattis with chick pea curry, along with fresh green salad with yogurt. Take 125 ml of skimmed milk, to which is added 1 bowl of corn flakes ot wheat flakes. You can top it with a handful of raisins. Take one apple also. Have 1 serving of pea and pumpkin curry and a cup of brown rice. Also add salad in your lunch. Have 2 slices of whole grain toast with low fat grated cheddar cheese or baked beans. Stir fry vegetables with rice and salad. Have one slice of multigrain bread, 1 bowl of muesli with skimmed milk without any sugar added, and an orange. 1 toasted bagel with hummus and salad, and 1 bowl of chicken soup. Have vegetable crudités and low fat cheese. For dinner you may take 1 chapatti, i cup of vegetable curry and 1 small bowl of vegetable dahlia. You can have 1 cup of tea with 2 slices of whole grain bread, grilled tomatoes and 2 scrambled eggs. For lunch you may have 1 cup of brown rice with 1 cup dal, 1 chapatti, and a plate of green salad. You can have 1 cup of low fat yogurt and 1 bowl of fruit salad as evening snack. For dinner on the 4th day you may have 1 plate of upma and stuffed peppers (peppers stuffed with vegetables and brown rice). For breakfast you may have a plain dosa and two idlis with chutney. For lunch you may have 2 chapattis made of whole wheat instead of rice, mixed vegetable curry and one bowl of salad. For evening snack have 3 slices of brown bread, one small can of baked beans and grilled mushrooms. Have 2 chapattis with 1 bowl of dal and 1 cup of vegetables. On the 6th day you can have 1 bowl of instant porridge, to which is added chopped fresh fruits, and 1 boiled egg. For lunch have one bowl of vegetable pulao, lettuce salad and 1 cup soy curry. For evening snack you can have tea or coffee and puffed rice. Have 1 cup of paneer sabzi with 2 chapattis, and a cup of dal. On the seventh and final day of the diet plan, you may have one glass of grapefruit juice or Satsuma juice, and muesli pancakes. Have fresh carrot and coriander soup, one cup of low fat yogurt and 2 slices of multi grain bread. You can have one cup of tea and 1 cup of sprouts with pomegranate arils. For dinner you may have 2 chapattis with pumpkin, eggplant and chickpea curry. This diet makes you healthy and protects you from various health problems. So follow this diet after consulting your doctor and stay healthy.